Social media can be a fun distraction, but it also has many downsides. Multiple studies claim it can negatively affect your mental well-being or create addictive-like responses to likes, shares, etc. in your brain. Privacy concerns and scandals around social networks are a common occurrence too. So if you have decided to kick the Instagram habit for good, we’re here to help. Follow our guide to learn how to temporarily disable or permanently delete your account. Whatever your reasons for leaving Instagram, you can deactivate your account and leave it all behind you. We offer you two solutions for this: temporary deactivation and permanent deletion. As the names might suggest, the first solution allows you to ‘pause’ your account: none of your data will be deleted – information (photos, for example) will be hidden from other users until you reactivate your account. The second one – a more extreme solution, allows you to delete your account for good: everything that you have shared, as well as your account/profile, will be deleted. Neither procedure can be performed directly through the app. You need to either log into your account on desktop or use a mobile browser on your phone or tablet. 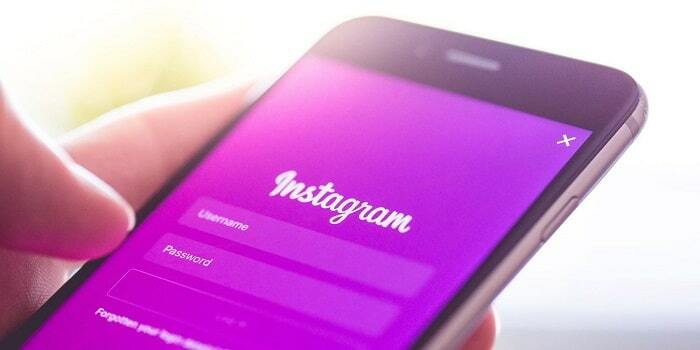 If you are an active Instagram user, you probably have some photos, videos or comments with sentimental value on your account. Before uninstalling the app or deleting your account, back up or save your important data. How do I (temporarily) disable my account? 1. Go to Instagram’s website and sign in. 3. Click on “Temporarily disable my account” at the bottom right of the screen. How do I permanently delete my Instagram account? 1. Go to Instagram’s “Delete your account” page. 3. Choose your reason for deleting the account.